Valentine’s Day is coming up quick. If you are anything like me, you have not even thought about making a reservation yet for dinner. 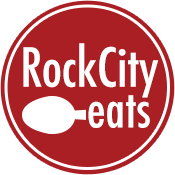 Thankfully we have you covered with some of the best Valentine’s Day special menus in town. Most of the options below are off-menu, multi-course dinners often with wine pairings. In my experience, these special pre-fixe dinners offer the best possible experiences at an individual restaurant because it gives chefs the opportunity to be creative in ways a standard menu doesn’t. Make reservations quick, all of these will fill up fast over the next week. Pay attention to wine pairing add-ons and if the tip is included or not as well if you are looking to dine on a budget. Also note, that the normal menu is typically not available on these nights to free up the kitchen to make their specials, and substitutions are often strongly discouraged. So if you do not like what is on the special menu, don’t book it. South on Main – As a girl dad I have two Valentine dates every year, thankfully South on Main gets this better than anyone. For the kids, they have a concert on the Saturday before with mömandpöp that is complete with an art station for them to make their own cards for $5. For the adults, they have a 3-course dinner and a concert featuring Trey Johnson on the big day for $55. *As always, we do our best to round up the options, but we always miss one or two. 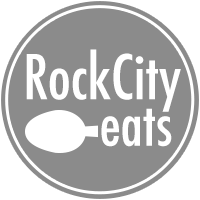 If your space has a dinner that fits shoot me an email at greg@rockcityeats.com and I’ll add it in.